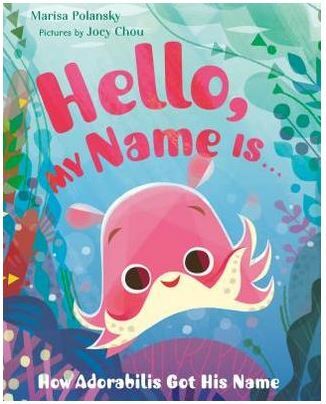 Nicholas John Frith’s second picture book, Hello, Mr. Dodo!, continues the aesthetic of his first publication, Hector and Hummingbird. Both books have Frith’s mid-century appeal and distinct color palettes. In Dodo, we meet Martha, an experienced young birder, as she first encounters a previously extinct Dodo bird. Martha and Dodo are fast friends—bonding over their shared love of doughnuts. Unfortunately, Martha soon learns she must protect her friend from the reality of human nature that caused his kin to go extinct in the first place! 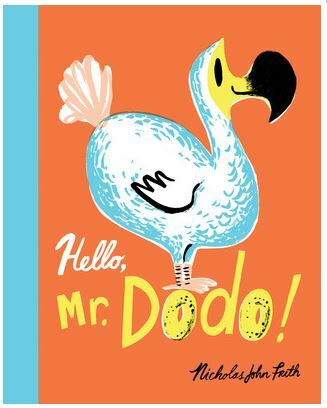 Young readers will enjoy meeting Mr. Dodo. His doughnut-loving good nature sparks empathy as readers learn about how and why certain species may become extinct. These species may need our help to escape this fate. Verdict: Animal lovers will relate to Martha’s interest in birding. Fans of an old-fashioned aesthetic will appreciate Frith’s style. Young readers will enjoy this book about the peculiar Dodo bird. April 2017 review by Lillian Curanzy.